From Sunday 21 April 2019 until Monday 23 December 2019: Enjoy 20 % off! From Wednesday 2 January 2019 until Monday 23 December 2019: Enjoy 15 % off! From Wednesday 2 January 2019 until Monday 23 December 2019: Enjoy 10 % off! From Monday 22 April 2019 until Monday 30 September 2019: Enjoy 30 % off! The Barcelo Montelimar Beach Hotel in Nicaragua is set in a prestigious resort, remarkable for its rich flourishing vegetation and breathtaking natural beauty. 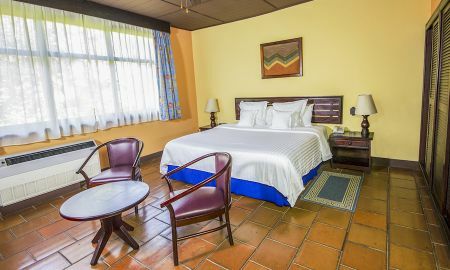 The hotel comprises a total of 293 individual dwellings, offering a broad range of rooms designed to ensure you the most comfortable stay possible. At this wonderful hotel you can make the most of the Barcelo all-inclusive programme: savour the extensive variety of dishes served at the buffet restaurant, or enjoy an evening meal in one of the hotel's 2 à-la-carte restaurants. The hotel also has seven bars where you can relax and unwind. The Barcelo Montelimar Beach Hotel boasts three swimming pools, a nightclub and a casino, so you can go for a dip in the pool and enjoy its hydromassage jets, or enjoy the night-time entertainment on offer. 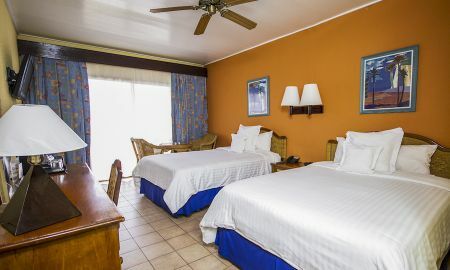 The Barcelo Montelimar Beach Hotel in Nicaragua is set by the seaside in a prestigious resort, a mere 500 metres from its own private airport and 65 km from Managua, the Nicaraguan capital.